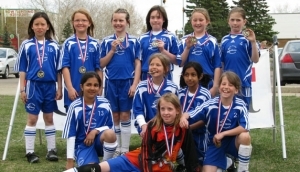 The Selects organization is the premier competitive soccer experience for the Mill Woods area and the communities that fall within its zone. Premier soccer has different expectations at many levels than a community recreational soccer program. 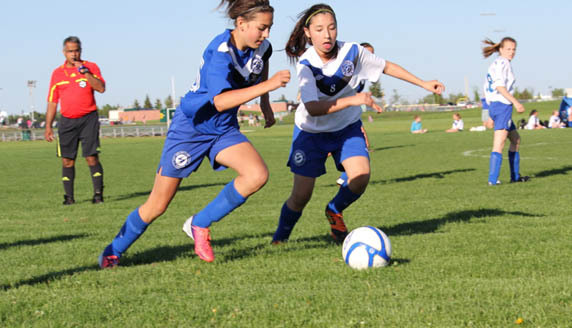 Many areas that parents and players are used to on a community team are quite different at the competitive soccer level. This page will help clarify the differences. Coaches in the Selects program are carefully reviewed and chosen by the program coach selection process. Coaches must show an aptitude to the game and running a premier league team. Premier teams function considerably different than community teams. Coaches are chosen to teach and grow players, keep discipline and foster individual player dedication to the team, at the highest level possible, at the team and individual player level. The Coach is the team leader and responsible for all aspects of the team which includes, conduct of the team and all team members in accordance with the Selects Values and Guidelines. This will include player development, player positions, playing time, strategy, fitness expectations etc. and it is expected of the team coaches to set these mandates. When it comes to any area of the team including practices, games, decisions of team management and other team events the decisions by coaches must be respected by both players and parents alike. Players are to be respectful to their teammates and coaches on and off the field. Players are expected all practices and games. They must be on time as the coach directs and ready to participate in the practice, game or other team event. Players are expected to follow coaching instruction. This includes playtime, position, strategy etc. Each player must understand that they are allowed to make mistakes. This is part of growing in the game. A tremendous amount of learning takes place. What is expected of all players is that they will learn from their mistakes and continue to grow as a player. Respect your coaches and listen to what they have to say. You will learn a lot and have a much better experience. Basically, expectations of players are to have a good attitude, try their hardest, listen to the coaches and have fun. A parent’s role on a team can be varied and involvement in your child’s team helps make the entire experience better for everyone. In any team there are team manager roles, bench parents, ref liaison, fund raisers and much more. Selects encourages parents to get involved with the team and support the coaches and team in every way they can. Please talk to your child’s coach or team manager to see how you can help make the overall experience better for everyone. As a parent you are your child’s biggest cheerleader. Please cheer on your kids and their teammates with positive affirmations and excitement. Parents are reminded not to coach from the sidelines. The Selects organization has already carefully chosen the coach for the team. It is the responsibility of each parent in the stands to keep other parents in check regarding this area. Coaching from the sideline is confusing to players and can contradict what the coaches of the teams are trying to achieve. Support the coaches in what they are trying to teach and achieve for the team. Premier Selects coaches all share a common vision that is set by the program. It is important that you and your family support your team’s vision. It creates better sense of team unity and enjoyment for all. Communication of a disciplinary action should be delivered at the age appropriate level for the players and explained as to why the discipline is taking place. Discipline should never place any player in physical harm. Discipline should be sensitive to the different emotional awareness of individual players. Coaches should not use profanity towards their players or team opponents at any time. It is generally understood between players and coaches that at times there can be somewhat louder and clear instructions and this is not done in anger, meant to demean or discipline. Passion and excitement is part of the team experience in premier play and this can come through in elevated team communication during games and practices. Player analysis (constructive criticism) is normal in the context of game or practice environments as long as it is related to the topic of soccer, play making, skills etc. and not designed to demean or embarrass a player in anyway. For example; if a player is consistently failing to execute a play or skill it is the responsibility of the coaches to provide corrective instruction to the player to help them improve. Constructive criticism should only be delivered in a way that is intended to teach and help the player improve. The Selects organization realizes that what is acceptable in the area of discipline is an extremely subjective area. All Selects coaches are interviewed in this area and the concepts of what they consider to be acceptable discipline must align with the program to be chosen as a coach for the team. Acceptable discipline is continually monitored throughout the program. The Selects believe in appropriate play for everyone not equal play for all. Some players may play more than others due to fitness, skill, competitiveness and attitude. Certain game situations and strategies can and will also dictate play time. Selects are competitive soccer teams and compete at a high level against other extremely competitive teams and this is more demanding and challenging than recreational community programs. This principle is centered on the idea that youth athletes improve with practice and hard work but still need and must have real game situations to learn and grow. No play time, is not acceptable and will not be tolerated unless it is a discipline situation. The practice of a parent stop-watching a player’s play time is considered unacceptable by the Selects organization. 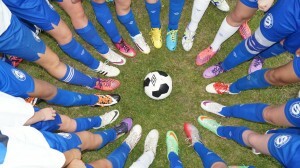 Soccer is a passionate game for everyone involved. This includes parents, players, coaches and fans. The association understands that parents or players may have concerns from time to time regarding many possible areas or games, practices, coaching, player to player conflict or other situations. 1. Any concern or complaint regarding games, practices, coaches, player / player conflict must not be addressed on the field of practice or play unless it is for a genuine risk to physical safety. 2. The 24 Hour Rule – Complaints will not be heard on the same day of the incident. 24 hours must have passed before a complaint is filed. 3. Complaints must be put in writing, stating a detailed account on the event from your perspective and listing of all persons involved. This must be done within 72 hours of the actual event otherwise the complaint will be deemed invalid. This written complaint must be submitted to the team manager or another team official but generally not the head coach with a copy sent to the Selects Director. 4. If the complaint cannot be resolved at the team level it will be heard and resolved by the Selects Club discipline committee.